Even the most meticulous of planners often find their lives in a position they weren’t expecting thanks to the capriciousness that is the human condition. For 2018 National Association of Sports Commissions Hall of Famer Gary Alexander, his life trajectory has taken him to places he never anticipated when he was a humble gymnast growing up in Colorado. 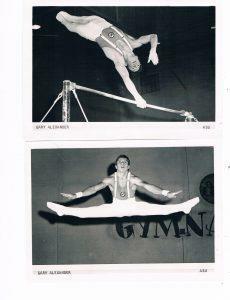 Alexander graduated from Arizona State University in 1975 after enjoying an outstanding college career as a gymnast. He left ASU as a four-time All-American in the floor exercise and helped lead the Sun Devils to a national runner-up finish in 1974. After graduation, Alexander took a position at his alma mater, Aurora Central High School in Aurora, Colorado, where he was a mathematics teacher and assistant gymnastics coach. Gary Alexander left Arizona State University as a four-time All-American in the floor exercise and helped lead the Sun Devils to a national runner-up finish in 1974. The following year, Alexander moved to Houston to become an assistant gymnastics coach at Houston Baptist University and resumed his training in the hopes he would get a chance to become a United States Olympian as a gymnast. Thus, Alexander opted to return to Colorado, where he began a gymnastics program from scratch at Overland High School in Aurora. Impressively, he led his teams to state championships in 1985, 86, 87 and 90 and state runner-up finishes in 1988 and 89. Alexander’s life was unfolding as expected, that is, until he received a phone call that dramatically altered the course of his career. During his collegiate tenure, Alexander had plied his trade as a gymnastics official to earn extra income. He was so proficient, he eventually became a high level national and international official who worked the 1992 Olympic Games in Barcelona. The USOC was so impressed with his work even prior to Barcelona, it offered him a position with the organization. Alexander’s USOC tenure began with him overseeing the U.S. Olympic Festival, an event that prepared upwards of 10,000 athletes for the Olympic experience. After three years in charge of the festival, Alexander accepted a position as senior vice president at USA Gymnastics, a job he held for four years until again, fate intervened. Alexander’s adventurous spirit was piqued, and soon after, he was selling gymnastics equipment for American Athletics Incorporated. For a year-and-a-half, he gallivanted across the globe, spending time in locales like China, Greece and Australia. Alexander was forced back into the job market when American Athletics Incorporated was bought out and his position was dissolved. 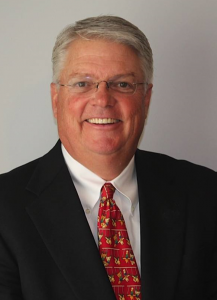 In 2000, he began working for the Nashville Sports Council, and for the next 14 years, he worked as the council’s chief operating officer and senior vice president. As busy as Alexander found himself while at the sports commission, his workload increased exponentially in 2012 when Nashville was awarded a colossal event for a city of its size (estimated 2018 population 671,000), the 2014 NCAA Women’s Basketball Final Four. Alexander was designated the executive director of the Final Four, and he, and the city, began preparing for the enormous challenge in front of them. During that tenure, Alexander worked a grueling schedule that saw him pore over even the most minute details of the Final Four, all the while keeping the sports council, and its many responsibilities, on track. As gratifying as the event was for Alexander, when the Final Four came to a close, he decided he needed a break. A man with Alexander’s prodigious work ethic doesn’t relax for long, and when Jon Schmieder, founder and CEO of Huddle Up Group asked if he would join the team, Alexander agreed to embark on the next phase of his life. “Jon and I had served together on the NASC board of directors (Alexander and Schmieder are both former chairmen of the NASC). I’ve known him a long time. It was an easy thing to do,” Alexander said. While his career is still thriving, Alexander will occasionally reflect on his pilgrimage and shake his head with wonder. Those who have crossed paths with the former standout gymnast certainly seem to believe it, thus the multiple Hall of Fame nods. “I have been fortunate to be in the right place at the right time,” Alexander said. “I’ve worked hard. You have to work hard. That’s a cliché, but it’s true. You have to ask a lot of questions. I would say asking for help is a sign of strength, not a sign of weakness. If we were all drowning in the ocean, we would all scream for help. Whether it’s in the classroom or the industry, if you are having trouble, ask for help. “Our sports tourism industry is so helpful,” Alexander added. “In my remarks when I was inducted (into the NASC Hall of Fame), I made a statement that I have used several times: ‘We have a saying here in Tennessee. If you find a turtle on top of a fence post, he did not get there by himself. A number of people have helped me along the way. Whether it was coaches who helped me as an athlete, officials who taught me in the officiating world, or those that taught me sports tourism, a number of people have impacted my life.